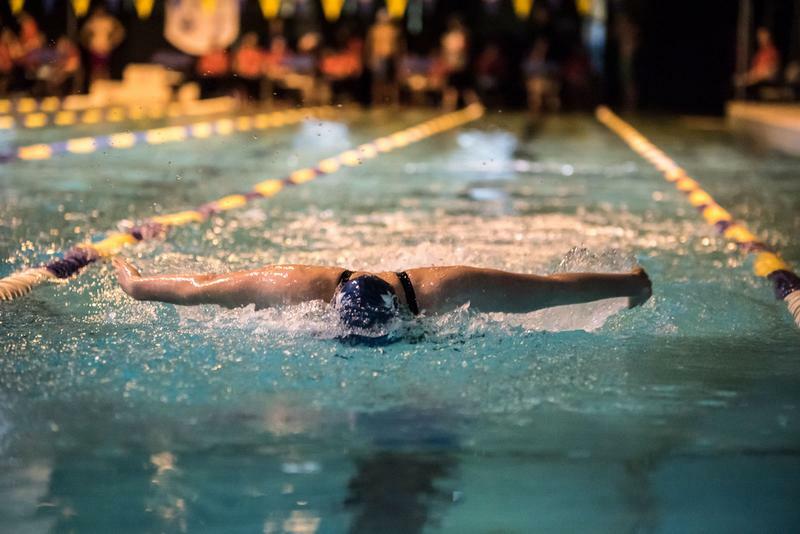 Though their season only just began, the UBC swim team is off to a flying start. Throughout the first month of their competitions, the Thunderbirds have produced impressive all-around results. With a group of extraordinary talent, they have become accustomed to beating their Canada West rivals. While racing in Calgary at the 2017 Rocky Mountain Cup, the team placed first, accumulating 2260 combined points. The T-Birds also won the Odlum Brown Colleges Cup — which they hosted — edging Calgary 1202-1089 in points. In the Rocky Mountain Cup held at the end of October, the women’s 100 metre butterfly saw the ’Birds sweep the podium, with Jacomi Strydom (1), Maia Brundage (2) and Kirsten Douglas (3) all improving their preliminary times. The women also dominated the 200 metre individual medley, taking the top four spots – Emily Overholt even broke the meet record by 1.49 seconds. For the men’s side, new recruit Josiah Binnema had an outstanding swim in the 100 metre backstroke, finishing with a time of 54.04 — his time broke the previous record by 0.66 seconds. The T-Birds also swept the men’s 200 metre butterfly podium, with Markus Thormeyer (1), Connor Wilkins (2) and Colin Eriks (3) posting improvements from their preliminaries. In the 100 metre backstroke, Jonathan Brown and Jaren LeFranc placed first and second. Finally, Yuri ‘The Missile’ Kisil lived up to his nickname, going 22.46 in the 50 metre freestyle, missing out on the meet record he set by 0.18 seconds. UBC also dominated every relay. In the women’s 400 metre individual medley, Erika Seltenreich-Hodgson (1) and Hillary Metcalfe (2) took the top spots. Seltenreich-Hodgson also won the 100 metre freestyle with a time of 54.51. The women’s 200 metre butterfly saw Overholt post a winning time of 2:11.59. The women also swept the 50 metre butterfly podium. Kisil won the men’s 100 metre freestyle in 48.52 seconds, with Jonathan Brown following in a close second. Thormeyer capped off a successful weekend for the ’Birds by taking five seconds of his preliminary time in the 200 metre backstroke, finishing in first with a 1:55.05 split. As they did a week earlier, the Thunderbirds dominated in the relay events. Ever since the 2016 Olympic Games, Emily Overholt has battled injuries that have sidelined her from UBC meets. In an email to The Ubyssey, she explained what it’s like to be back with the team and putting up some incredible times at their first few meets. “The last three weekends of racing have been so fun for me because it’s been over a year since I last raced, and it’s nice to see myself getting closer to where I was before taking a break last year,” Overholt said. On the men's side, age and size are just numbers for first-year Jaren LeFranc. Despite being a rookie and 5’10”, Jaren continually places in the top two in his breaststroke events – beating out bigger, more senior athletes. When asked where he goes in his training throughout the season, LeFranc spoke of continuing to hone in and perfect his skills to continue putting up impressive times at the collegiate level. The Thunderbirds travel to Victoria on November 24 to compete at the Canada West swimming championships. They will be looking to defend their title from last year, bringing home both banners for the ninth time on the women’s side and the fifth time for the men’s. Beyond that, the ’Birds will travel to Washington to compete at the 69th Annual Husky Invitational before the holiday break.